Home » Business » The Adoption Rate for Fabric Over Foam Shielding Gasket is Rising Steadily: What is The Big Deal? The Adoption Rate for Fabric Over Foam Shielding Gasket is Rising Steadily: What is The Big Deal? No matter, what is the cause of EMI – man-made or natural, they transmit signals, and that, in turn, interfere with wireless communications. The outcome of such disturbances may be severe, ranging from data losses to system failure. Sometimes, these unwanted energy waves may even lead to loss of lives. For manufacturers of electronic application, it is, therefore, important to find out the source from where electromagnetic energy (EME) may penetrate the application environment, leading to interference. To enable this protection, they often use shielding gaskets along with enclosures. Besides shielding electronics from harmful radiations, these components are also intended to cushion the electronic equipment from mechanical shock. Gaskets need to be made of any soft material. Otherwise, they may end up damaging the equipment. Fabric over foam shielding gaskets are best suited for these applications. The high attenuation capacity coupled with low compression force enables these highly conductive materials to offer a high level of shielding or grounding for computers, military devices and seams and apertures used in the telecommunication industry. In the early days of EMI shielding, gaskets were crafted out of sheets of strong and rigid metals like steel, aluminum and copper. These metallic sheets were then given desired shapes to match the shape of the enclosure. However, thin sheets tend to get deformed easily in the situations where high pressure is applied for sealing. Deformed sheets, then, become incapable of containing radiation, allowing for the energy waves to interfere with electronic circuits. Fabric over foam shielding gaskets are free of these limitations, and, therefore, offer high shielding effectiveness. 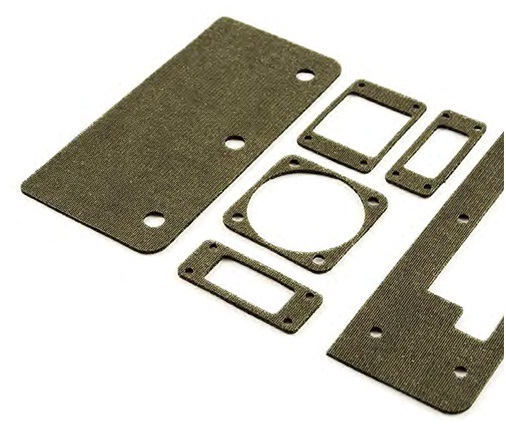 Depending on unique application needs, budget and difficulty level relating to fabrication, today’s top manufacturers use a variety of materials to create fabric over foam shielding gaskets. In some cases, metal-filled polyurethane foam is used where the material is placed between the layers of fabrics. These types of constructions are ideal for applications that require low compression forces. However, for gaskets that are meant for use in sensitive applications like touchscreens, are generally composed of particle-filled silicones. Apart from providing attenuation and electrical conductivity, these materials also provide excellent environmental sealing in extreme conditions. Moreover, these gaskets also provide soft cushioning, which enables the display screen to carry on with an uninterrupted touch function. The causes of EMI may be countless, but so are the ways you can shield your applications. One of the ways is using a fabric-coated gasket. Gaskets can provide the much-needed environmental sealing but it has to be fabricated to match the shape and size of your device. Different manufacturing methods are used to customize gasket design. This method is ideal where mass production is involved. Die-cutting enables manufacturers to fabricate five to 500,000 gaskets at one go. All that is needed is the specification. This precision system proves effective in producing gaskets quickly. It’s a repetitive procedure, and therefore, highly cost-effective. Under this method, gaskets are tied with a fastener through holes or slots with predetermined radii. If your design cannot support this method, you can also use pressure sensitive adhesive backing (PSA) to assemble the gasket to your design. Since die cutting involves minimum assembly time, it is a preferred choice of manufacturers seeking to expedite production time. 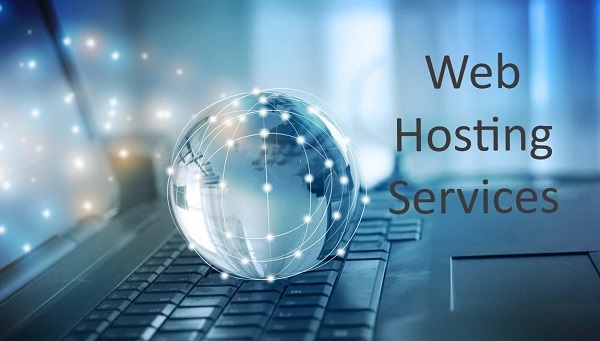 One of the greatest advantages of using this method is, many top manufacturers in the USA offer these products, and, therefore, you can quickly and conveniently procure them to meet your application needs. Some applications, especially the flange and groove units require extruded gaskets. Some of these pressed out systems come complete with anti-stretch features and can be pushed to fit into the enclosure. Sometimes, these units are spliced to the enclosure for achieving more effective sealing. Several leading providers offer these products in a variety of profiles that may range from hollow and solid square to O, P, U and more. In these units, the outer layer is made of the fabric over foam material, which helps in minimizing the use of metals like silver, nickel graphite or likes. This efficient use of shielding materials help reduce the production costs, making the product immensely cost-effective. If your device has a complex design and a narrow PCB area, where densely placed chips require isolation. These gaskets will be perfect choice for you. Besides offering excellent shielding, these units create 30 percent lower compression force. These flexible gaskets can seal the gap more efficiently than any other type of gaskets. They can be assembled quickly with the help of appropriate tools. Hence, they are a perfect fit for enclosures with compact designs. When you find all three methods inadequate for your application, you can opt for molding for achieving a tailor-made design. They are especially suitable for enclosures that do not support a flat die-cut or extruded design. As such, they make a perfect choice for applications that call for a three-dimensional design. However, customization always comes at a price and, therefore, you must ensure that your budget allows for such modifications. Different types of gasket solutions are available from top companies in the industry. However, the EMI shielding technologies are constantly evolving. Types and methods of assembling gaskets are changing, too, at a rapid pace. Markets are flooded with products to meet the shielding requirements of most complex products. To select appropriate fabric over foam shielding gaskets for your applications, take help from experts. They will help you choose the right components for creating reliable and cost-effective shielding.